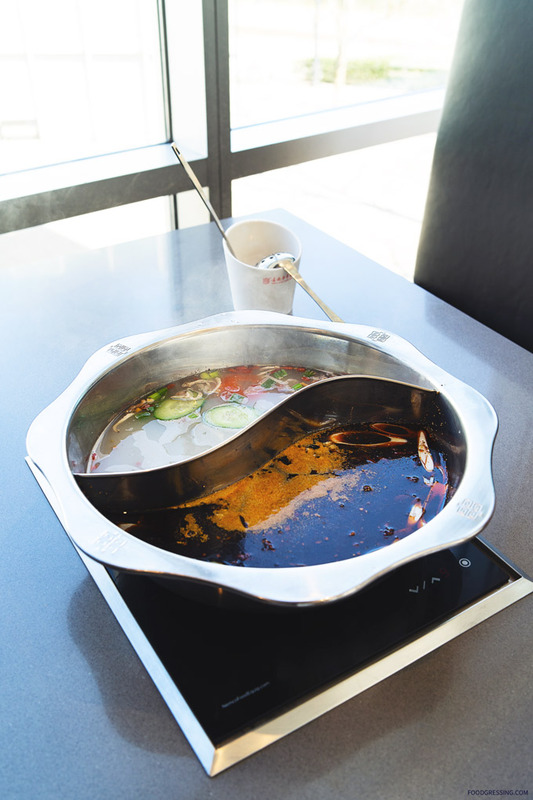 While there is no shortage of hot pot restaurants in Metro Vancouver, there is one restaurant in Richmond that offers a unique experience. 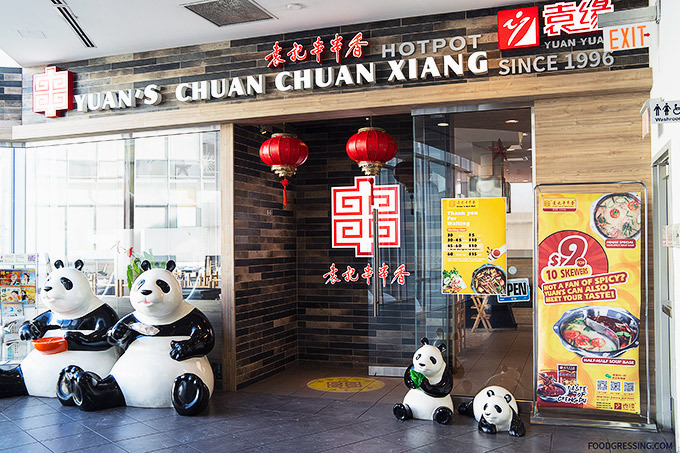 Founded in 1996, Yuan’s Chuan Chaun Xiang (or Yuan’s Hot Pot) is a Chinese-based hot pot chain with over 400 locations in China and specializes in Chengdu-style (the capital of Sichuan) cuisine. 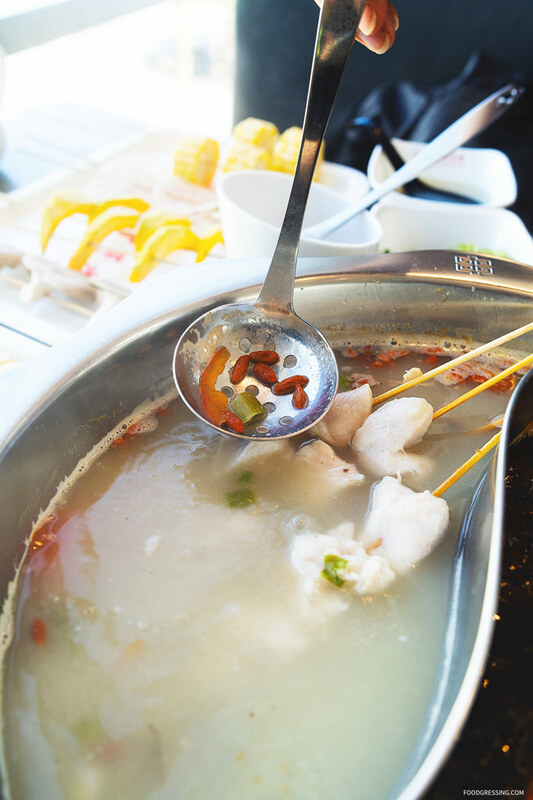 What is different about their style of hot pot is that the food comes in bamboo skewers which are then immersed into the simmering hot pot. 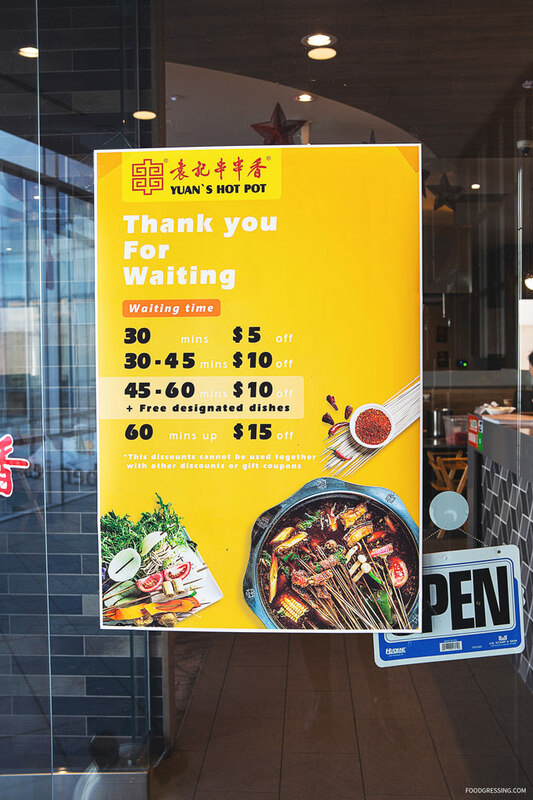 Yuan’s Hot Pot opened their first international location at Aberdeen Centre in Richmond in 2016, followed by two other overseas restaurants in Sydney, Australia and Amsterdam, Holland – both in 2018. The Aberdeen Centre location is in the corner of the second floor of the mall away from the atrium. 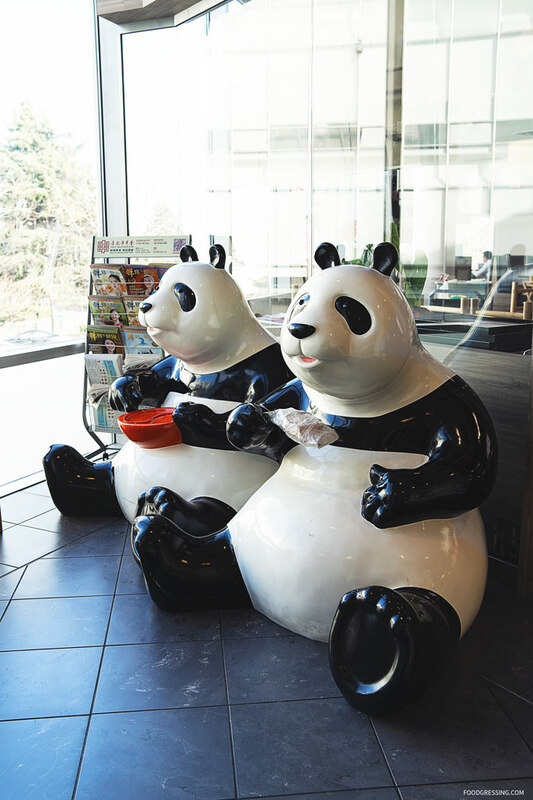 You’ll be greeted at the entrance with several of their panda mascots. 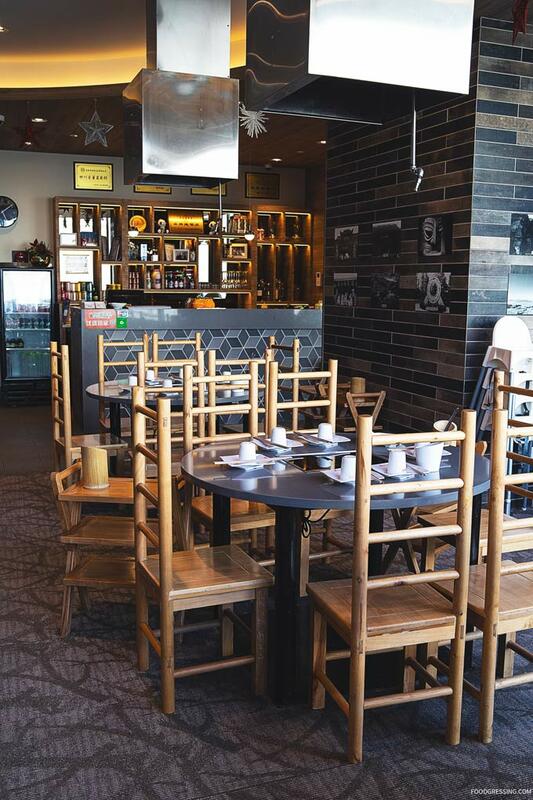 The interior of Yuan’s Hot Pot is very spacious with a mix of booths and table seating. They also have VIP rooms to cater to groups. 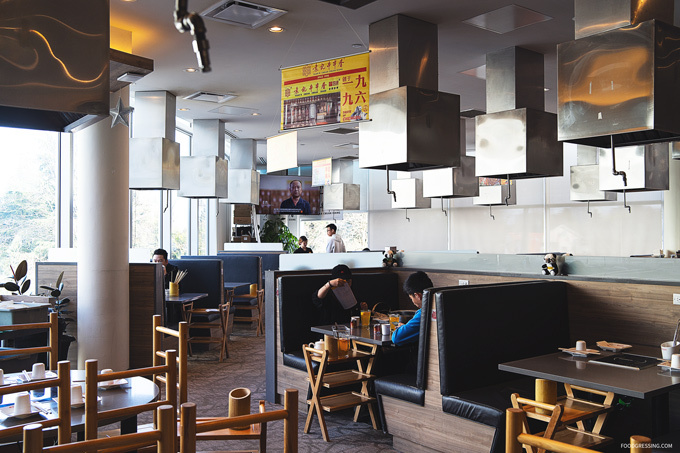 The restaurant has lots of natural lighting and has a clean, modern aesthetic. 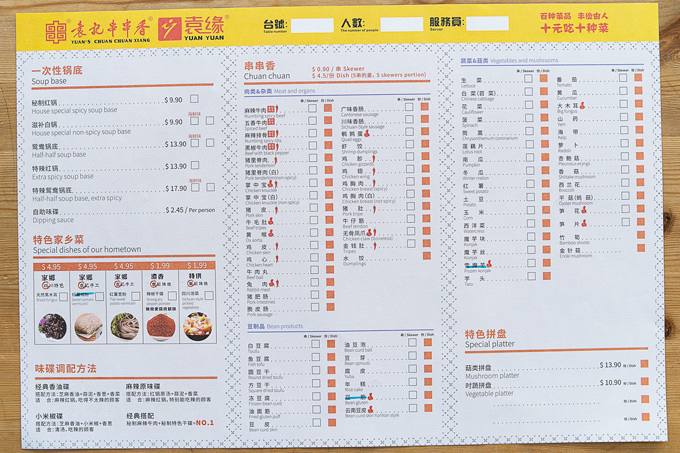 Yuan’s Hot Pot menu is available online at their website. Below are my photos of the menu and you can click on them for the full-size photo. 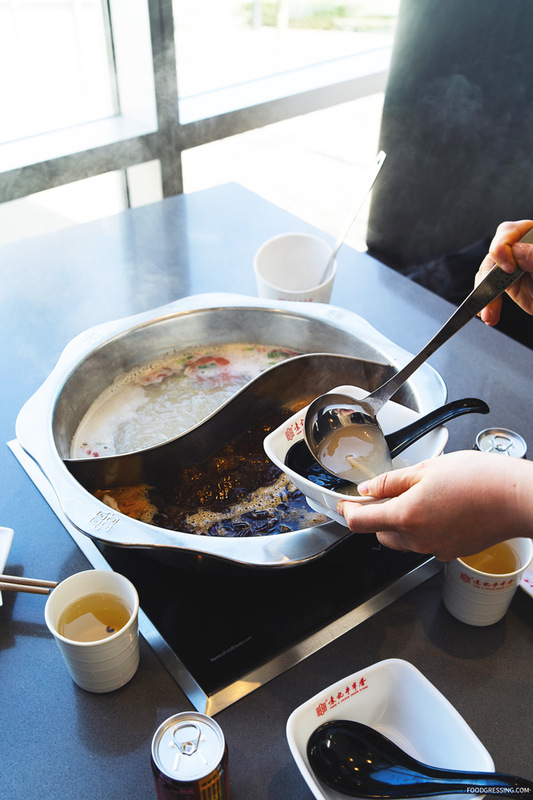 For the communal hot pot soup base, the options include House special spicy or non-spicy, half and half, extra-spicy and so forth. 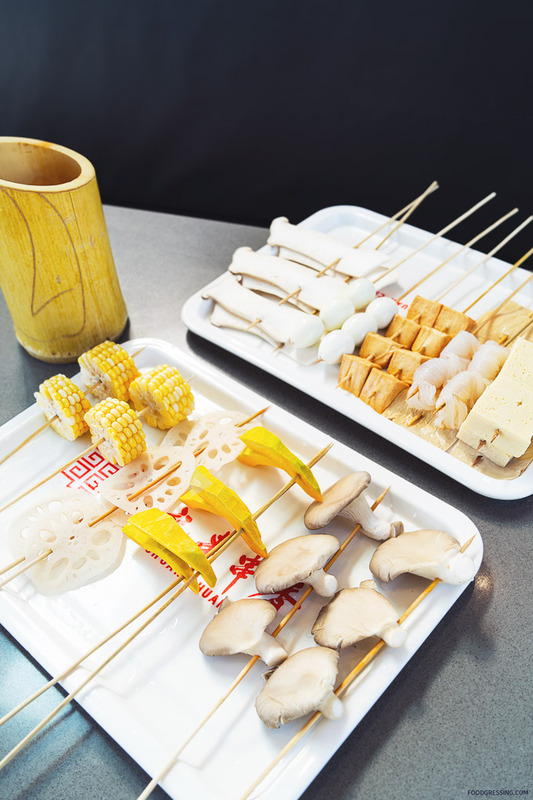 The options for the bamboo skewers seem almost endless with meat, seafood, vegetables, and tofu varieties. They are priced at $0.90 per skewer or $4.50 for 5 skewers. With this pricing, you can try 10 different items for around $10. 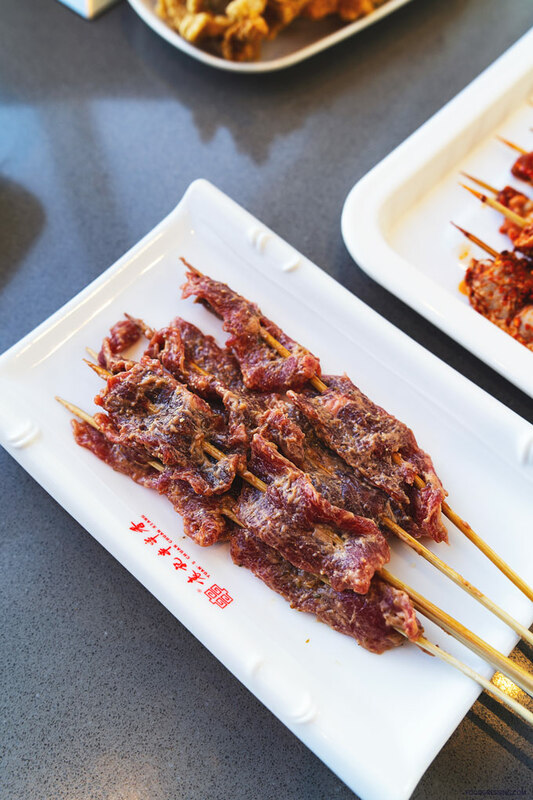 Meat skewers include items like numbing spicy beef, pork tenderloin, chicken knuckle, beef tripes and so forth. 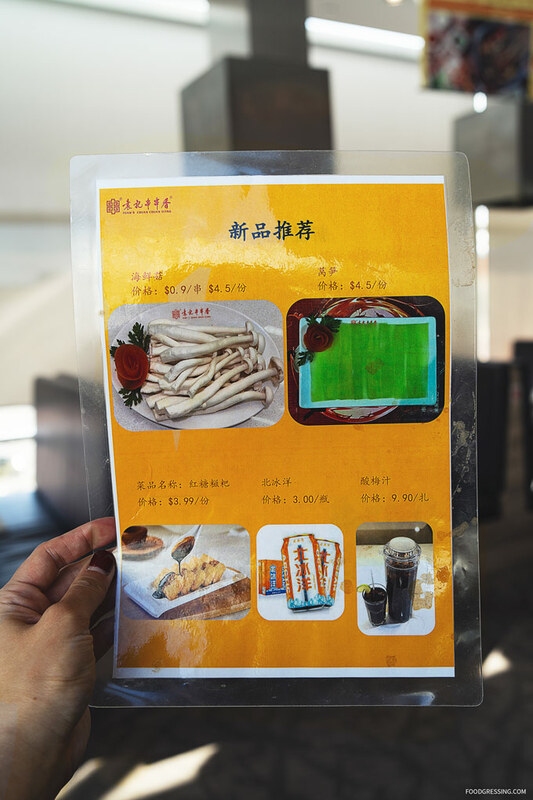 For vegetables and mushrooms, you can order platters or individualized items like Chinese cabbage, kelp, enoki mushrooms and more. Tofu choices include fish tofu, round dried tofu, bean curd skin and so forth. For seafood, you’ll find staples like oysters and mussels as well as more exotic choices like Phoenix-tailed shrimp and frog legs. 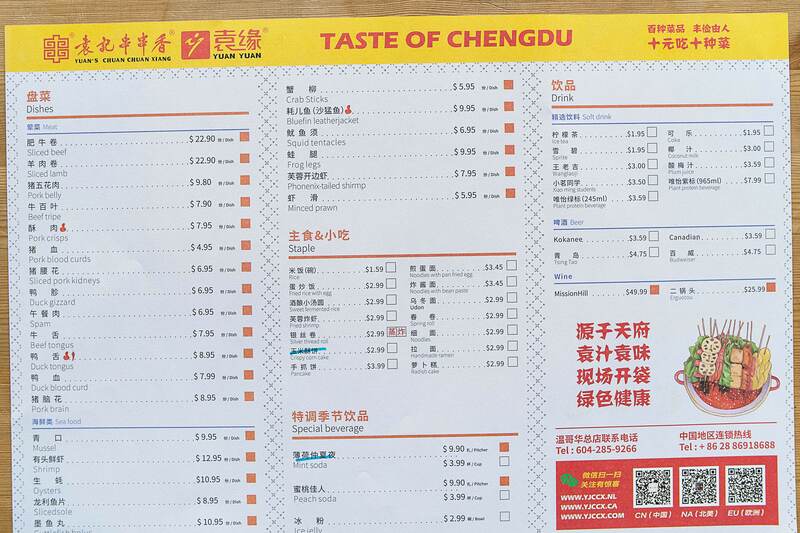 Some specialty dishes include duck gizzards, sliced pork kidneys, beef tongue and more. You can also find rice and noodle dishes to round out your meal. 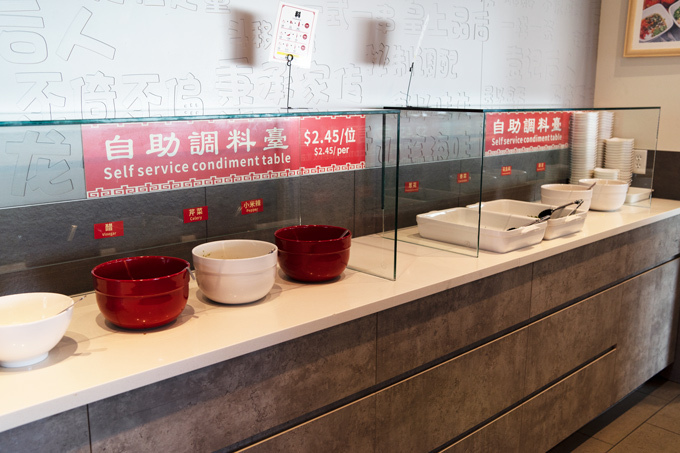 The self-service dipping sauce bar is priced at $2.45 per person and features condiments like garlic, coriander, green onion and chili. I was invited for a media tasting and here’s a look at our feast for two people at Yuan’s Hot Pot. Yuan’s Hot Pot signature soup base is made with premium pork and chicken and simmered with other ingredients like goji berries, cucumber, green onion, mushrooms for a richer flavour. 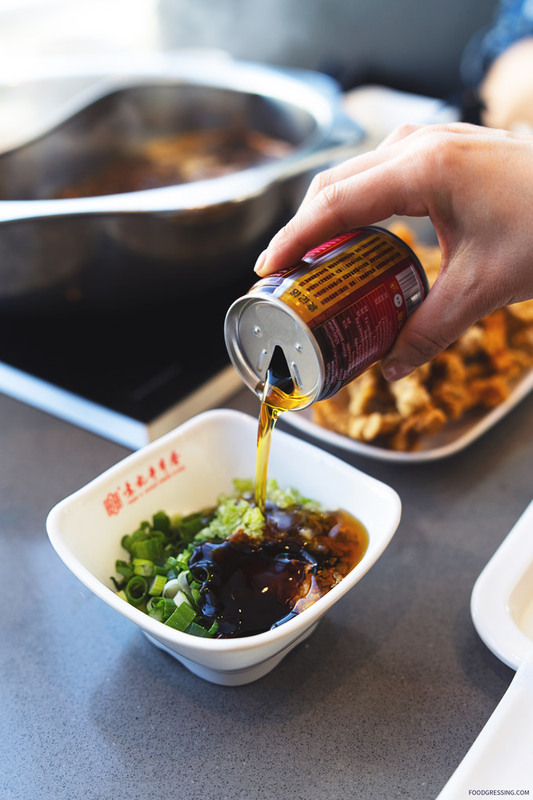 The spicy soup base is made with their brand of spicy mixture which is premade and comes in a packet that is imported from Chengdu. We were presented with the Classical Sesame Oil Dipping Sauce which had sesame oil, garlic, green onion and cilantro. The sesame oil comes in a small can. We tried a variety of skewers which had were of excellent quality. For items that were spicy, the spicy flavours were on point. 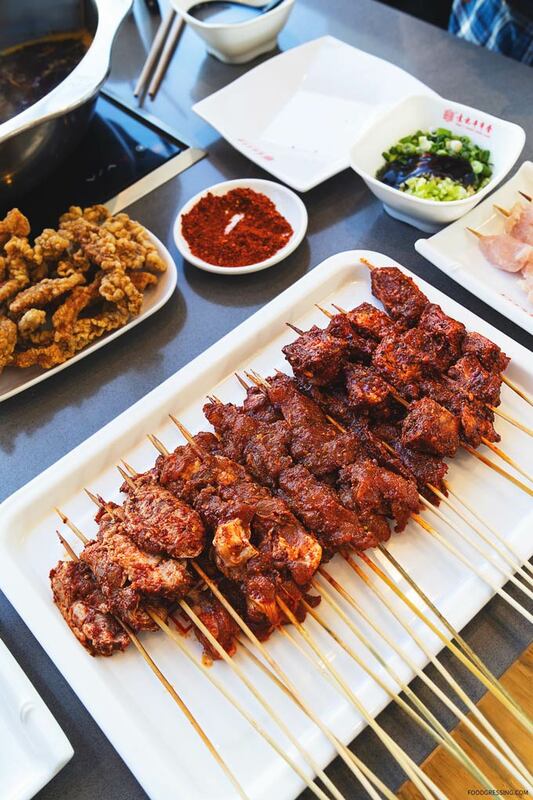 For meat skewers, we enjoyed the numbing spicy beef, spiced beef, spicy chicken wings, spicy chicken breast, spicky chicken knuckles, and non-spicy chicken breast. 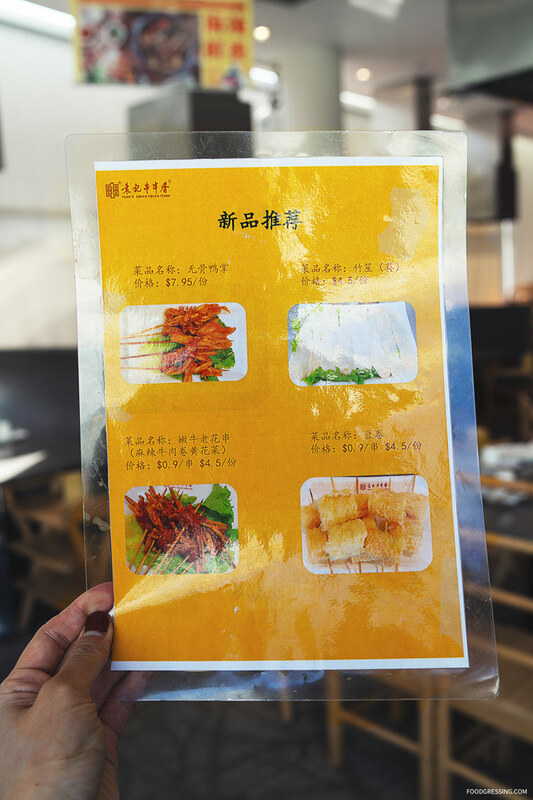 For bean products, there was square dried tofu, frozen bean curd, and Yunan-style bean curd skin. 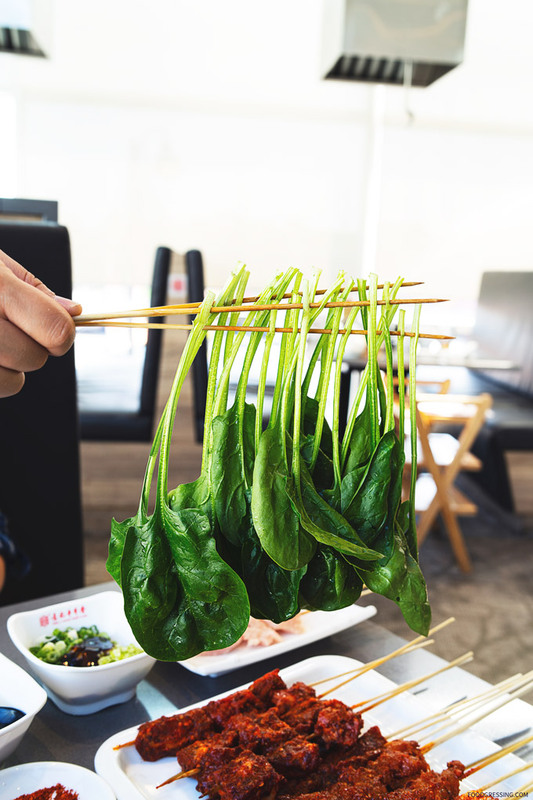 The vegetable and mushroom skewers we had were pumpkin, spinach, lotus root, corn, Pleurotus eryngi mushroom (aka King Oyster), and Oyster mushroom. 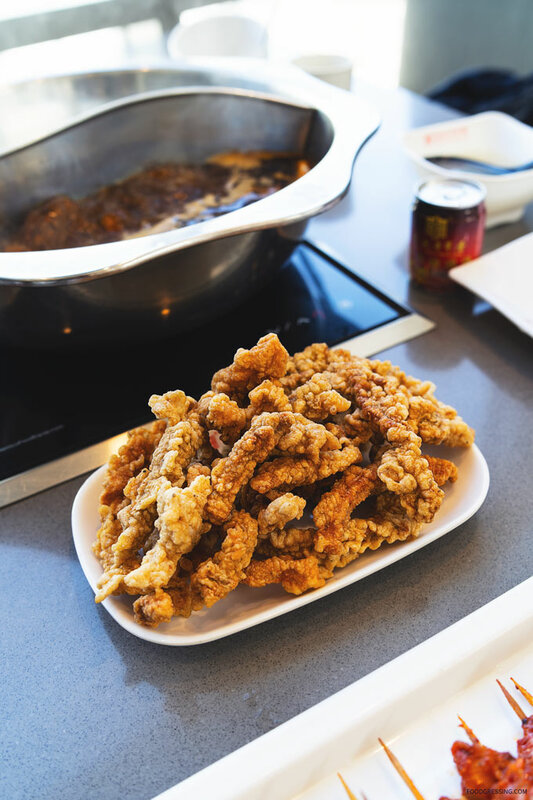 There was also the deep-fried pork crisps which we dipped into dry pepper powder for extra spiciness. The pork crisps were wonderfully crispy on the outside and crunchy on the inside. One thing I noticed about dining at Yuan’s Hot Pot is that it is very ventilated. You definitely won’t come out smelling like hot pot and spices. 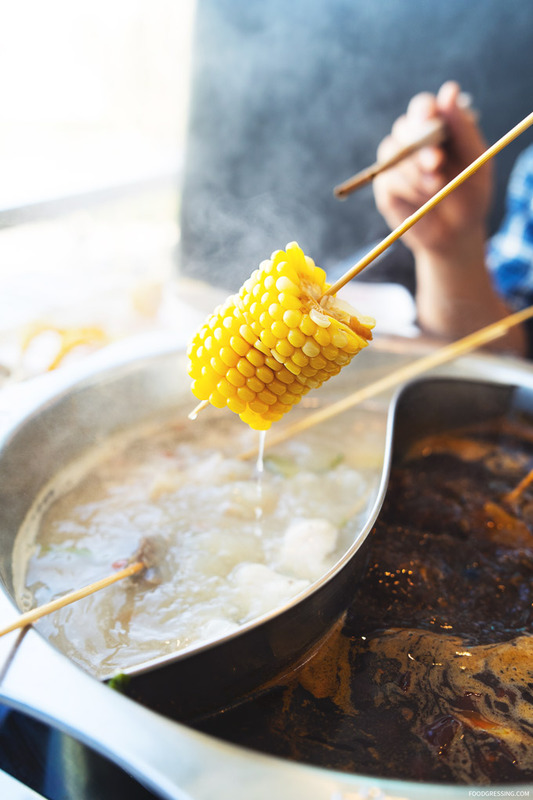 How did I enjoy skewered-style hot pot? 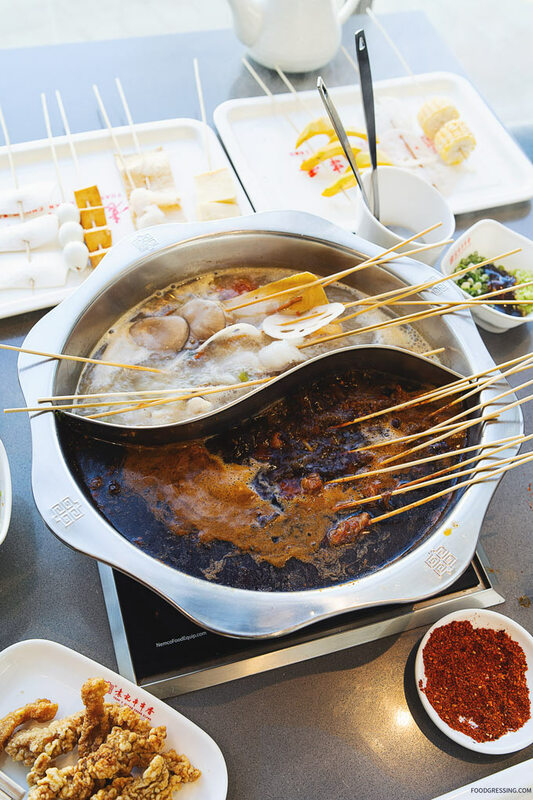 It was my first time trying skewered-style hot pot and immediately saw the benefits of this style of hot pot. 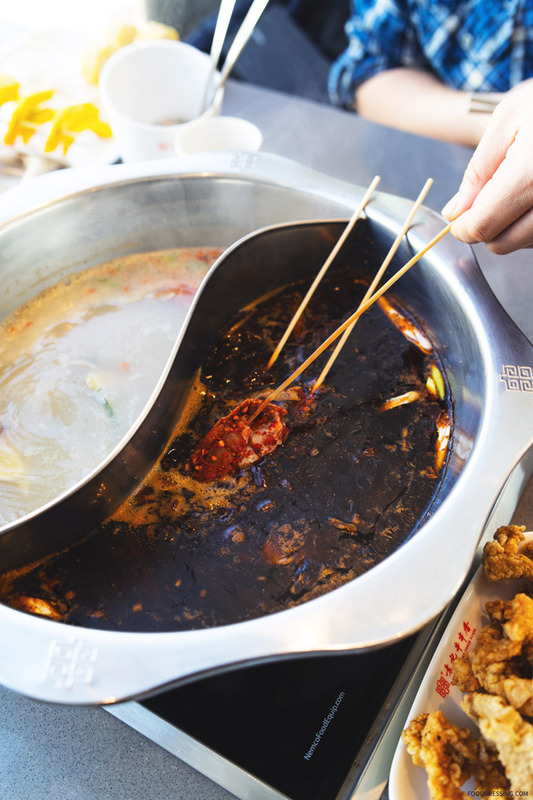 The items are cleanly placed into the hot pot and you don’t need to fish around for them after they are done being cooked. 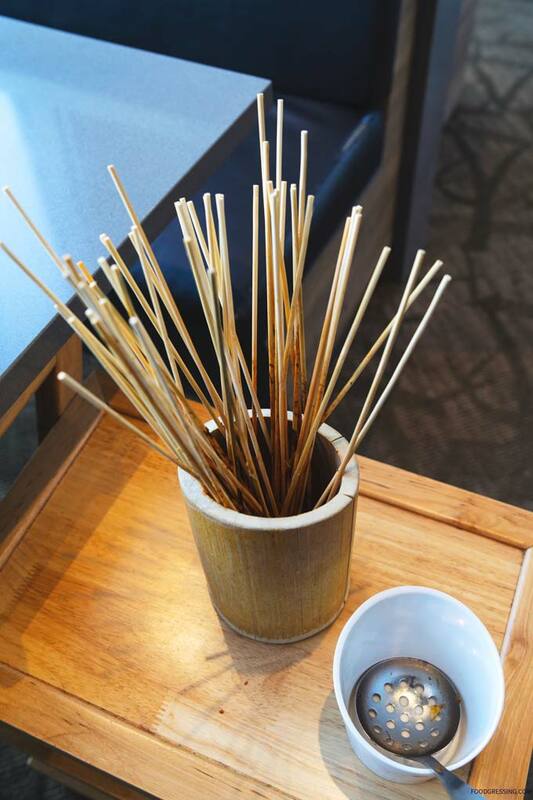 The aftermath…our finished bamboo skewers placed in a bamboo container. To finish off our fantastic meal (and to soothe ourselves from the spiciness), we were presented with bing fen made with konjac jelly topped with peanuts, jellies, and grapes. 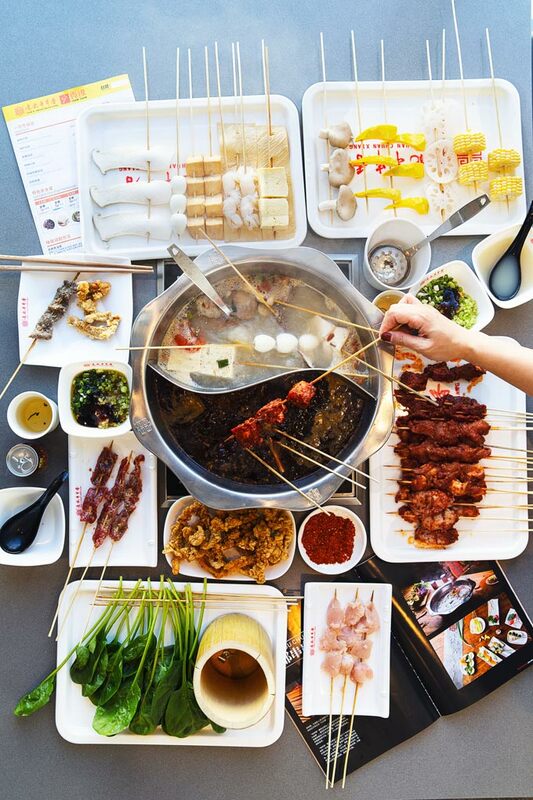 I really enjoyed the dining experience at Yuan’s Hot Pot from the quality of the food to their house spicy flavours. The manager tells me that the average cost per person is approximately $35 – $40 per person. If you wait beyond 30 minutes for table, you can discounts off your bill. 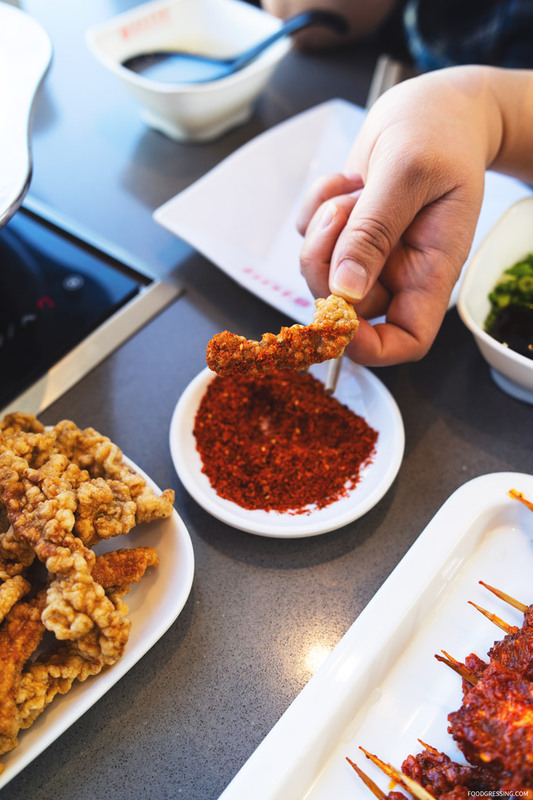 I would recommend others to try Yuan’s Hot Pot to satisfy their spicy cravings.